Methinks there will be much cake envy at Maisie’s 4th birthday party. Quite simply a stunner of a cake! 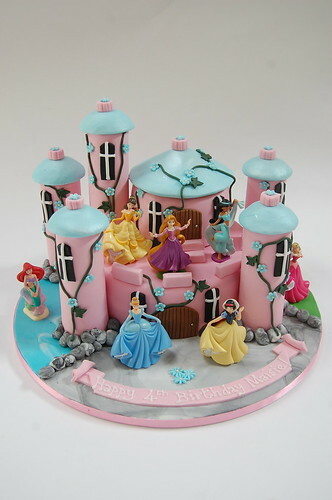 The Disney Princess Castle Cake – from £130.